"Bartolini Pickups are the core of my tone, the energy of my sound, and the brand that I trust." Usama Allati is a hardworking professional musician from the city of Beit Sahour/Palestine. He studied music at the Edward Said National Conservatory of Music. His training in the complex scales, melodies and rhythms of Arabic and greater Middle Eastern music provided a good foundation for his mastery of Western music from rock to Latin to jazz. He won the national guitar contest of Lebonese artist and singer Marcel Khalife in 2001. He started his professional musical journey when he was just 19. 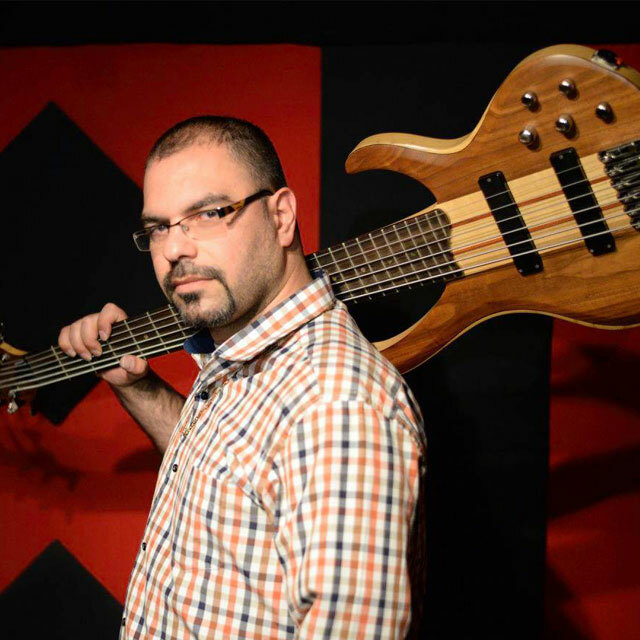 He became part of local, national and international bands, workshops and projects and had the chance to tour many Arabic, European and Asian countries playing different musical styles. He not only plays the standard 4 and 5 string bass but also performs on his extended range custom handmade 9 string bass and his 7 & 8 strings electric guitars. Usama is very good at both composing and arranging reggae, blues, metal, rock, pop, flamenco and bit of a jazz as well as classical music. He often works locally at RJ Music Productions, Mega Studio and Shepherds Studio where he records and lays down tracks for his own projects and those of other artists. He performs locally and internationally in different festivals. One of his most significant musical projects was the co-founding of the international music project called “Music Exceeds Borders” with his Corsican partner Jean-Baptiste Basile. Both his city of origin and his travels around the world reinforced his belief that music is a universal language that exceeds all borders. It is a project where music is created overseas and enjoyed everywhere. Music is indeed a universal language. Usama is also a certified music teacher currently working at Fredrick Chopin Academy of Music in Bethlehem. His teaching experience goes beyond local and national level as he has taught music in the Philippines, Denmark and Germany. Usama is bilingual in Arabic (his mother tongue) and English. He also speaks a bit of German. He has many local commitments but can be available for remote session work and tours. And if you want to visit his town, he is the person to ask as he is an official public relations officer for the Beit Sahour municipality.